Sana Ajmal from Islamabad, Pakistan – who will be joining us in Greenwich, London, on Saturday 11th November for the DiAthlete Global Premiere! How old were you when diagnosed with t1 diabetes and in those early years how much did you / your family know about the condition? “It was my 15th birthday. I was already in ketoacidosis and hungry all the time. With 3 surprise cakes coming in just for me, I made sure I eat them as much as I could. This completely devastated the situation and I landed up in the hospital. Since I had red cheeks (common symptom of ketoacidosis), and normal body weight for my age, the doctors couldn’t get to the bottom of the cause right away. I ended up in a coma before it was finally diagnosed. My mother was a doctor too, but she had not practiced her profession for a long time. Though she missed the symptoms, after diagnosis she could read through her medical books and other resources could easily understand the guidance given by consulting doctors and guide me accordingly. No one else in my family had any knowledge about diabetes, especially type 1. Many far off relatives and friends kept suggested herbal remedies for the condition. What would you say are the biggest issues concerning life with type 1 diabetes at home in Pakistan? “Well firstly, there are very few endocrinologists. Doctors specializing in internal medicine are the ones usually looking after people with type 1. I believe that this is an issue that is faced by many as type 1 diabetes, though can be handled, is not understood perfectly by a non-endocrinologist doctor. Another issue, which has become better with time and introduction of IDF’s Centre of Education in Pakistan, is the lack of trained diabetes educators and dieticians. Though there are trained CDEs now, however the CDE to people with diabetes ratio is still low. Availability of free mixing insulin, electricity to be able to store insulin at the right temperature, physical and financial and physical access to a good hospital or doctor, access to the playgrounds and parks, access to health food, are just few of the factors that create issues in leading a healthy life with diabetes. Apart from the diabetes management side, the lack of awareness about type 1 in society causes problems in everyday life. Ranging from beliefs that diabetes can be inherited from mothers only, or is a communicable disease, or can be cured by drinking the juice of bitter gourd, or that being prescribed with insulin means you are in the last stages of your life, or that diabetes is like termite, young people with diabetes cannot work, and they cannot have families…there is a never ending charade of myths. These myths are often conveyed to the person with diabetes through comments that are hurtful and discriminatory. People with diabetes find it hard to move along in the society, find life partners and good job opportunities because of the same. With some degree of unintentional ignorance, the mentioning of ‘Pakistan’ to those in the Western World in present times (due to the media) may draw some concerns with perhaps lower expectations of community or peer support. On the contrary, would it be fair to say the reality is the opposite; when you consider the passionate work of Meethi Zindagi and advocates like yourself. Can you tell us about Meethi Zindagi and the grassroots impact you have for people with diabetes in Pakistan? “It would not be entirely wrong to say that community and peer support is a new concept in Pakistan. Meethi Zindagi was formed to bridge the gap between ‘what should be’ in terms of support to the diabetes community and ‘what was available on ground’. I myself was grown up in a Pakistan where I knew very few people who sailed in the same boat as me. Except for my own doctor, who supported a type 1 club in her clinic for some time, the concept of peer support was unknown. That is why I felt that providing a soft side to young people with type 1 diabetes, who lead a hard social life otherwise, is important. My few type 1 friends were always my best friends, my soul mates. Meethi Zindagi is trying to do the same. There is still a large diabetes community, which we need to reach out to and support. We are growing and making the dream of “togetherness” a reality for the diabetes community. Meethi Zindagi holds regular DTreats (Diabetes reTreats) for young people with diabetes where they can discuss the everyday problems and social issues in a non-judgmental and relaxed environment, feel inspired, learn from their peers and feel the magic of going from loneliness to togetherness. Marriage is a big part of life for many! How is this culturally perceived for young ladies in the Middle East – and in living with type 1 diabetes, does the topic of marriage draw discriminations? “Ahhh!!! You have asked a touched a sensitive topic. We live in a semi-conservative culture where marriage is considered to be the most important milestone (if not the only one) in the life of a girl. It is difficult for young women with diabetes to find a suitable partner who accepts her health condition. Mostly, young men (and their parents, since usually, families of both sides arrange the marriage) do not accept a woman with health conditions in their lives. This usually happens because it is a common belief that women with diabetes cannot have children, cannot take up the duty of household work, that diabetes can be transmitted between spouses, and that diabetes is inherited from mothers only. When getting a marriage proposal the old fashioned way, you can assume that the probability of that proposal materializing into a relationship is pretty low. This discrimination also affects the marriage proposals for the sisters of a person with diabetes. If one sibling has diabetes, the rest can have it too, and there you can see things going down the drain. You are a devoted wife, mother and on general someone who comes across as living her life with positivity. Can you share with us your journey and the leading challenges you’ve faced, and how you’ve managed to get yourself onto this good path? “I would say that my experiences with diabetes led me onto this path. All I had to hear was someone telling my father that he should not be spending money on my education (I was a brilliant student) as I would lose my eyes and kidneys and would be eaten away by the diabetes termite anyway. That was enough to light this passion of “showing it to the world” in my heart. I decided to follow an academic career to prove people wrong and to prove my own worth and standing. In pursuance of my determination, In 2016, I completed my PhD in Computer Engineering from a renowned university in Pakistan. I luckily found a nice guy who thought that I had more spark in me than my diabetes could possibly diminish, got married and have now got two boys, one nine years old, and the other 5 years old. Another myth busted here. If you manage your levels well, you can live a healthy and fulfilling life. 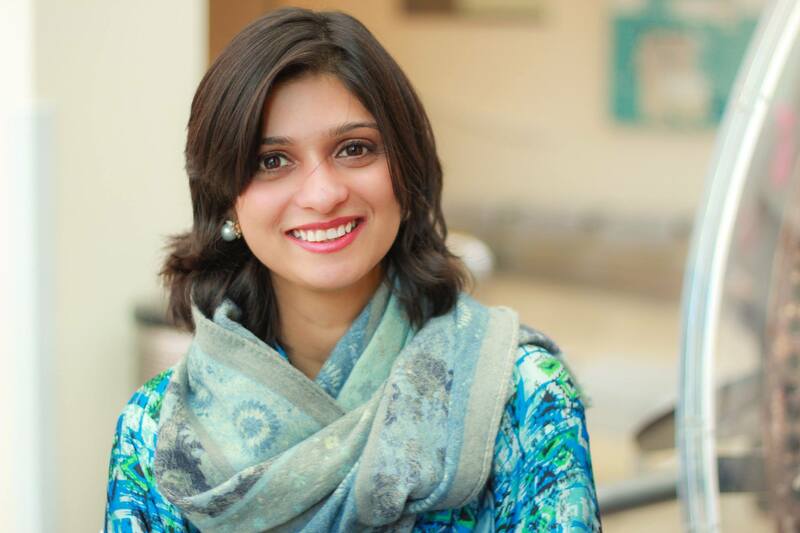 With my academic career and a busy family life, I served as the Vice President and the President-Elect of International Diabetes Federation’s Young Leaders in Diabetes program, was trained as a certified diabetes educator and founded Meethi Zindagi. As for your question of how I managed to get myself onto this path, I would say that sometimes one bad event is enough to ignite a deep fire within you. To do something you need only three things: passion, an ounce of courage and a wise mother to pour it into you! How supportive has your husband & family been on your diabetes journey? “Initially my parents and sisters, with all their encouragement, care and confidence in me gave me the wings to fly. Then my husband came along, who has always been amazingly supportive of not only my own health condition, but also in my endeavors to support others with diabetes. Even my kids now know the ins and outs of a mom with diabetes and run for juice when they feel I am low! I wouldn’t have been what I am today if my family wasn’t beside me at every step! What’s your message to all those around the world living with t1 diabetes? “Just as nobody can see your suffering, nobody can see your strength! You are the hope for those like you! Stay strong!